How much do you love puppies? Enough to pass them tidbits from your plate and let them jump onto your bed? Woof! 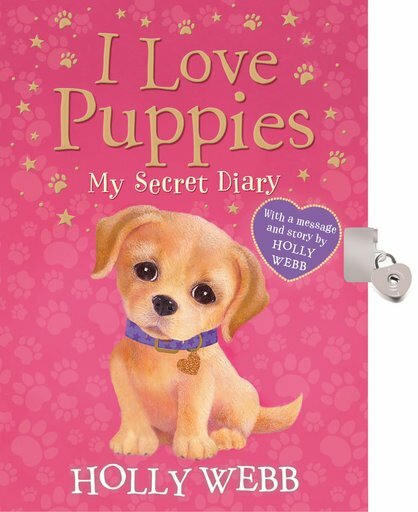 But do you love them enough to let them into your top-secret diary? If the answer’s YES, you need this gorgeous Holly Webb journal! It’s got quizzes, puzzles, fill-in diary pages and a cuddly Holly Webb story. Plus melty-eyed pups! (What else did you expect?) Read up on doggy facts, stretch your brain with tail-wagging puzzles, or try some cool craft ideas. Lock it up with the heart-shaped padlock when you’re done.